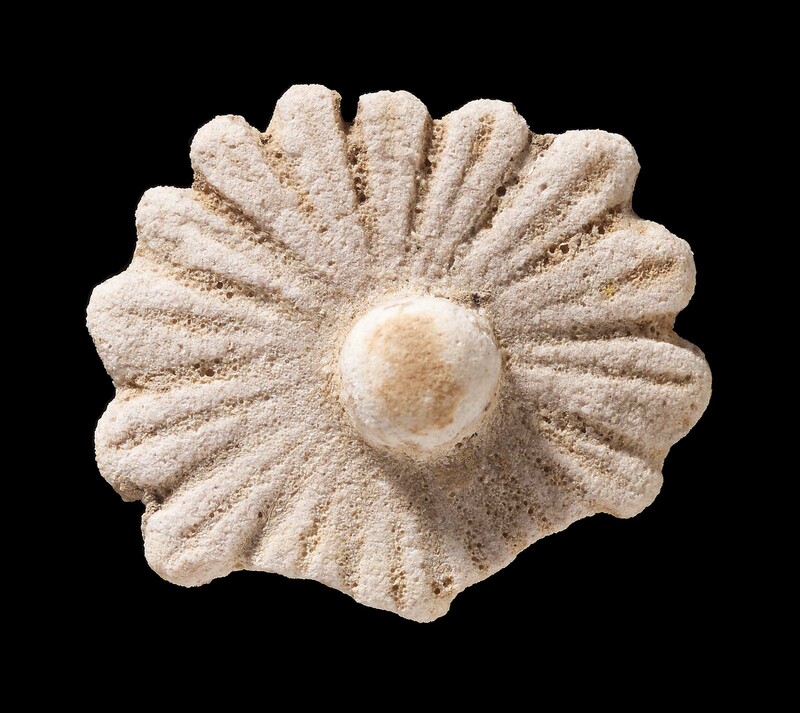 Frit rosette; rays with deeply incised median vein, knob disk, thin-button back; disintegrated white glaze on rays; yellow glaze in veins, in grooves between rays and on disk. Findspot Information: Soundings at Tell Fakhariyah. From Floor 2 of Sounding VI (p. 43, F2383g; pl. 44:5) / [Exped. Date:] 1940.